Scammers are taking advantage of the excitement over the Royal Wedding to try and steal your personal information. 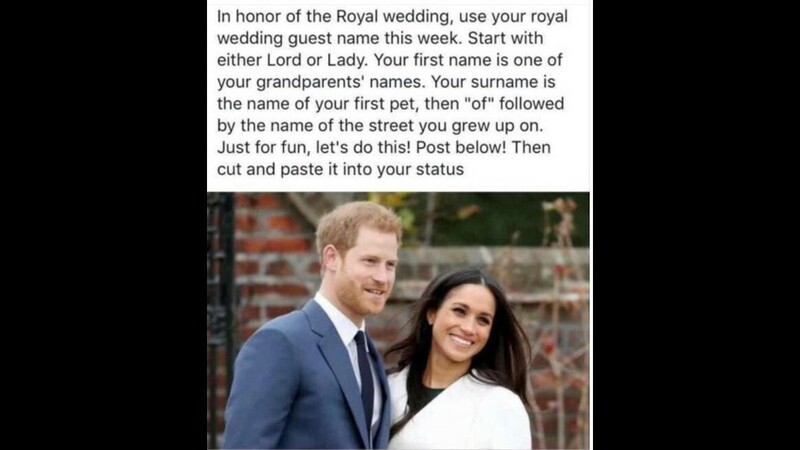 There is a Facebook prompt that asks you to create your Royal Wedding guest name. It uses details from your past to create your name and asks for things like your grandparents' names, the name of your first pet, the street you grew up on. Then you're supposed to copy and paste the prompt and your Royal Wedding guest name as your status. The problem - your mother's maiden name and the street you grew up on are often the answers to security questions on banking websites. So while you can use the prompt to come up with a name, don't post it.